The Conference is organised jointly by the Centre for Regional Studies of Hungarian Academy of Sciences, the Hungarian Regional Science Association and the Faculty of Economics and Business of University of Pécs. Presentations will build upon results of research project undertaken by the Centre for Regional Studies of Hungarian Academy of Sciences and OECD LEED Trento Centre for Local Development, Employment and Labour Markets. The books published in English and Hungarian languages will be released at the Conference and participants will discuss its key findings. The conference aims to foster opportunities for discussion and dialogue among policy makers, researchers, students, tertiary education practitioners, professional associations, representatives of academic staff and other stakeholders. Five plenary sessions will be held during the Conference. The languages of the Conference are Hungarian and English, interpretation will be provided. Hungary and Western Balkan countries on the road towards economic integration. An opportunity or a necessity? To be booked individually. The conference service provider: the Hotel Palatinus City Center ***. 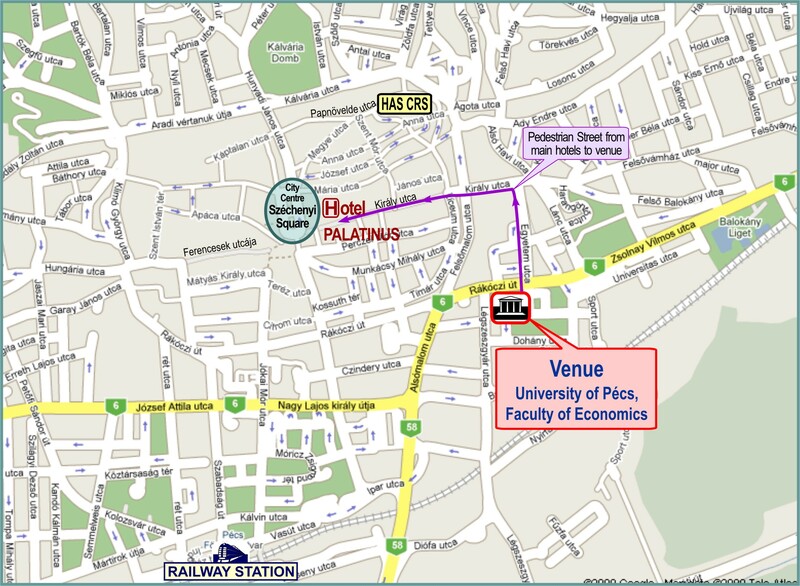 Registration form of Hotel Palatinus City Center. More information about the opportunities at www.booking.com. The Conference is part of the project titled "The Socialisation of Regional Science" whose beneficiary is the Centre for Regional Studies of the Hungarian Academy of Sciences. The Conference is sponsored by the European Union and co-financed by the European Social Fund and the Ministry for National Development and Economy. co-financed by the European Social Fund .